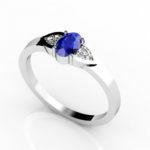 An extremely elegant ring that consists of an oval tanzanite of around 0.220 carats with six diamonds, three etched on each side of the band made of 14k white gold. 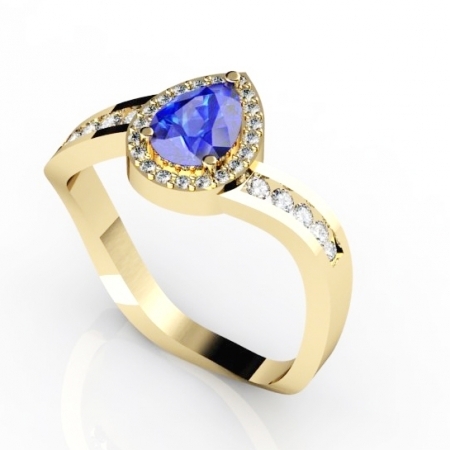 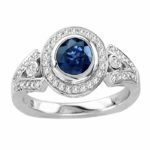 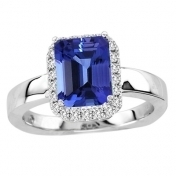 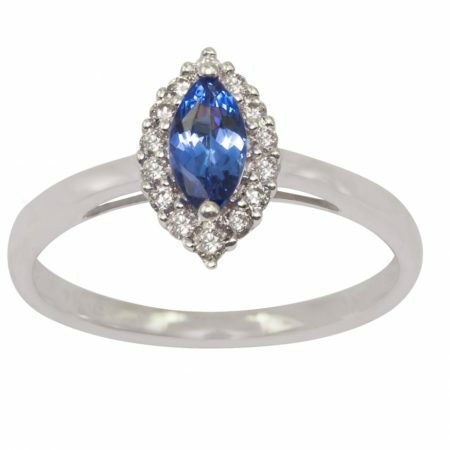 With the tanzanite clawed from all the four sides, the ring renders a timeless feel. 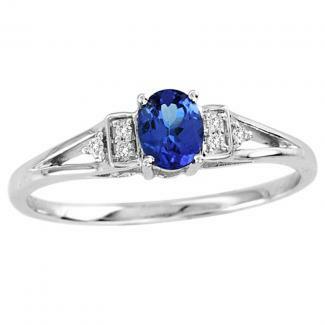 It can be carried on any occasion with any style of dress making it look more graceful. 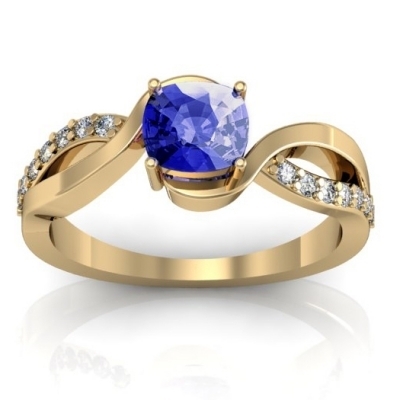 It goes well with formal as well as informal look.